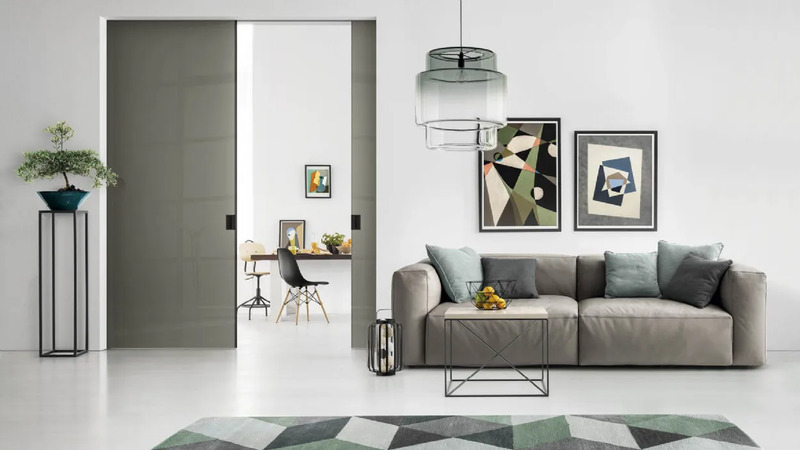 The system of floor mounted sliding doors offers solutions that allow you to satisfy various furnishing needs, tailored to the various environments thanks to the doors with aluminium structure and panels made of glass or wood. The floor sliding doors with track are divided into two categories, recessed and in support. The floor sliding system is composed of an inferior and one upper track. This last one can be fixed to the wall, to the ceiling or recessed. The sliding happens on the lower track allowing to discharge to the floor all the door’s weight, for this reason this system is particularly suitable for non-carrying ceilings.